What’s this? 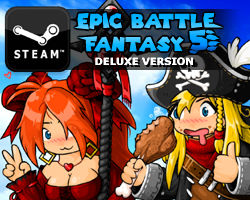 New enemies for Epic Battle Fantasy 5? If you can’t view Flash stuff, here’s a YouTube version. This entry was posted in Epic Battle Fantasy 5 on January 29, 2019 by Matt Roszak. Wait so where are these guys gonna get inserted into. like are they just gonna be all over the overworld, or in a very specific area? I think there was talk about additional bonus areas. Guess I’ll have to keep watch for these, gotta catch ‘em all! So… Wraiths and hydra use fire and are made of paper… Fireproof origami? 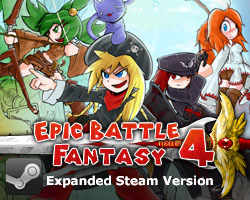 someone else has noticed the new counter at the top right that says ebf5 v2? These new enemies remind me of the monster I created for the contest you made a while ago.